Steven Meisel is on a roll this campaign season (just as he was last season) working with such major fashion brands as Zara, Moschino, Marc Jacobs and Max Mara. Natacha Ramsay-Levi jumps on the bandwagon by hiring Meisel to capture her second Chloé collection for Fall 2018. After his “lazy” Spring 2018 campaign for the French fashion house, Meisel shoots a handful of models — Liu Wen, Kris Grikaite, Aaliyah Hydes, Sophie Koella, Rianne van Rompaey and Grace Hartzel —on location in New York City on the banks of the East River for Chloé’s latest. Out of the six girls cast, one model stood out most to our forum members. “OMG, I’m smitten with Liu Wen here, and so glad Meisel took a break from Fei Fei Sun! When she tilts her chin into the sunlight, so regal and glamorous. One can tell the focus was supposed to be on Kris, who just look cutesy pretty, and Rianne. But Liu more than held her own next to them,” Benn98 said. “Liu proving why she’s an icon in this industry! Even with the amazing Rianne and Kris, she just pops. Her presence is strong and undeniable. She got me excited here!” exclaimed simon. “Liu Wen is perfection. Love that she got this campaign,” said bluebanter. “So happy for Liu Wen! She’s one of the best models of the 2010s hands down. She’s always kind of been the underdog of high fashion and underrated in a way. She’s so talented and brilliant as a model. Hope she continues to get more big campaigns as time goes on,” wrote pollyanna90. 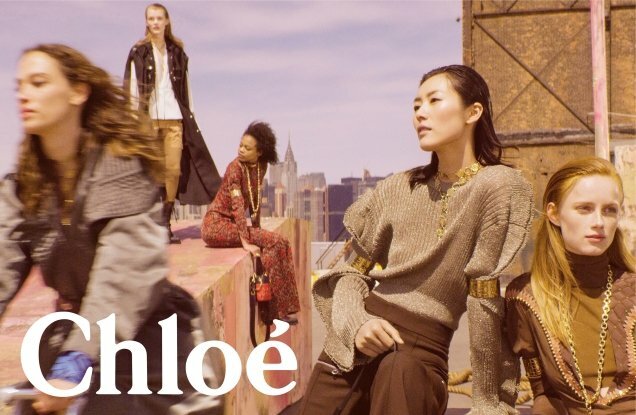 Check out the rest of Chloé’s Fall 2018 advertising campaign, watch the video and join the conversation here.